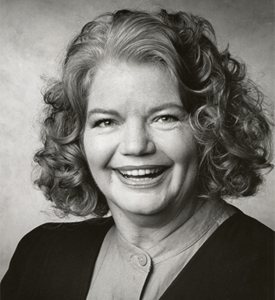 Molly Ivins died two years ago today. If you don’t know who she was, go HERE to read some of her delightful quotes. She was a Texan — a Texas liberal! — with a loud mouth, a wickedly cynical pen, and a sense of humor and justice and love that made her … special. She knew, and gently despised, the idiot George W. Bush (whom she called “Shrub”), and all the people he surrounded himself with. … and would have celebrated the election of Barack Obama. She died of breast cancer at the age of 62. Way too young. I have to wonder if she’d still be with us, if science and medicine had moved only a little bit faster at finding cures and treatments for her condition. And I have to wonder if the reason it didn’t move faster was because people like Bush, and all the know-nothings and godders and foot-dragging fools throughout history slowed it down. Next PostNext Happy 200th Birthday!